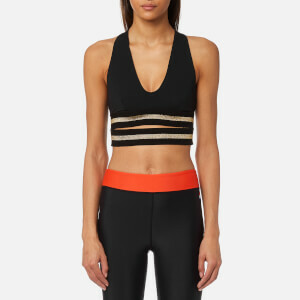 Women's colour block sports bra from high-fashion activewear brand, NO KA'OI. 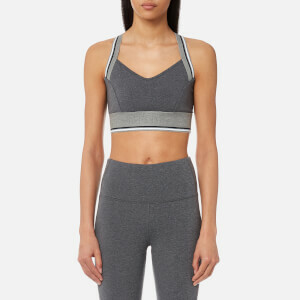 Cut from Italian Sensitive® Microfibre with quick-drying properties, the gym bra showcases a geometric colour block design and offers full coverage during exercise. For additional support, the 'Lani' bra has a built-in bra with removable padding, and an elasticated underbust band. 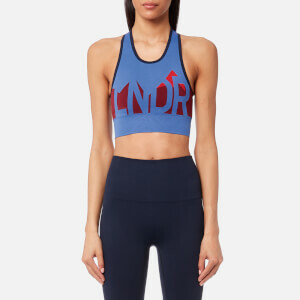 Lightweight and comfortable.